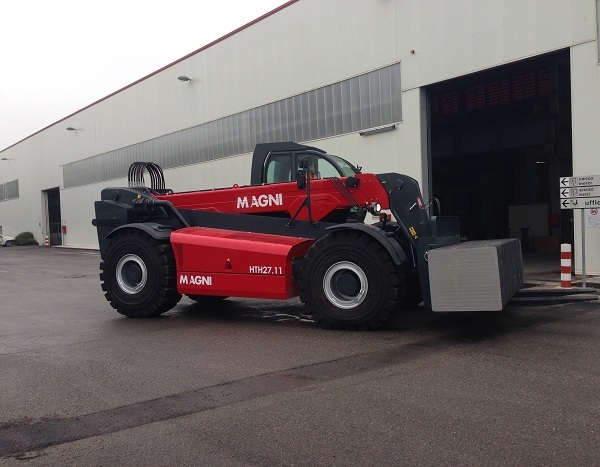 The purchasing by Franchini Acciai Spa of the machine HTH 27.11 is a big goal for Magni TH. Franchini Acciai is a company in the field of steel forging for various applications, like ships’ parts, oil and gas structures, energy plants or nuclear and petrochemical industry. 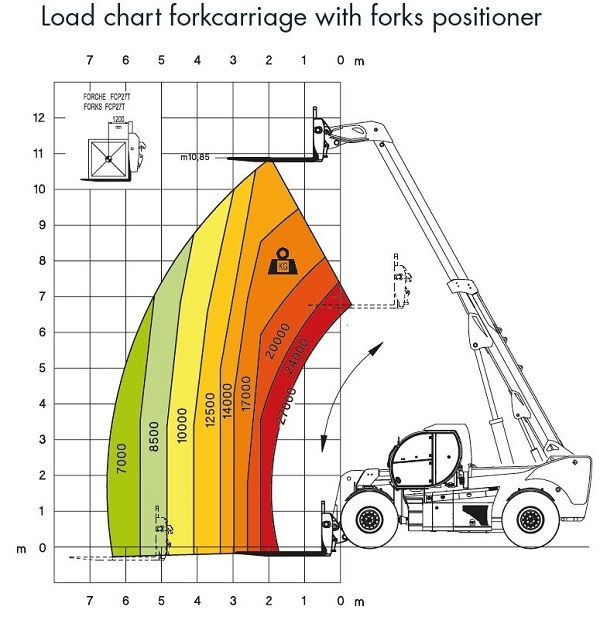 This machine with a total weight of 35.500 kg is able to lift up to 27 tons, moreover it can reach a maximum height of 10,85 m with a capacity of 14.000 kg and can lift 7.000 kg at his maximum reach (6,60 m). It is equipped with a pressurized cab with air filtration, feature that makes this machine very suitable to work even in polluted or dusty environments. HTH 27.11 can be fitted also with a 27 tons hook and with special attachments for the mining: tyres clamp, cylinder clamp and hub with suspension cylinder clamp. The machine guarantees better flexibility thanks to its reach and great performances even with rough terrain, features that are not present in fixed must. 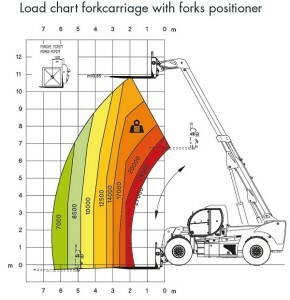 In addition to fixed must forklifts, the HTH 27.11 machine can perform 3 types of steering: crab, concentric and front steering.